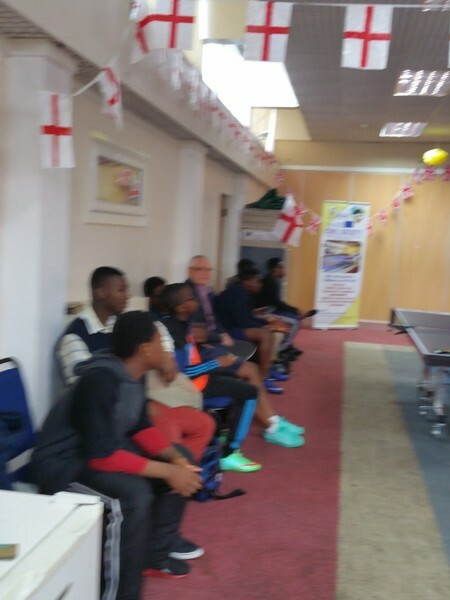 Our project planning team commenced a project mapping and delivery strategy process which involved a weekly active Tennis (Table) playing and coaching sessions of 2hours minimum every Sunday due to the grassroots nature of the sports chosen by our organization in collaboration with the youths, girls, young women, older adults within the Gorton community, Manchester UK. 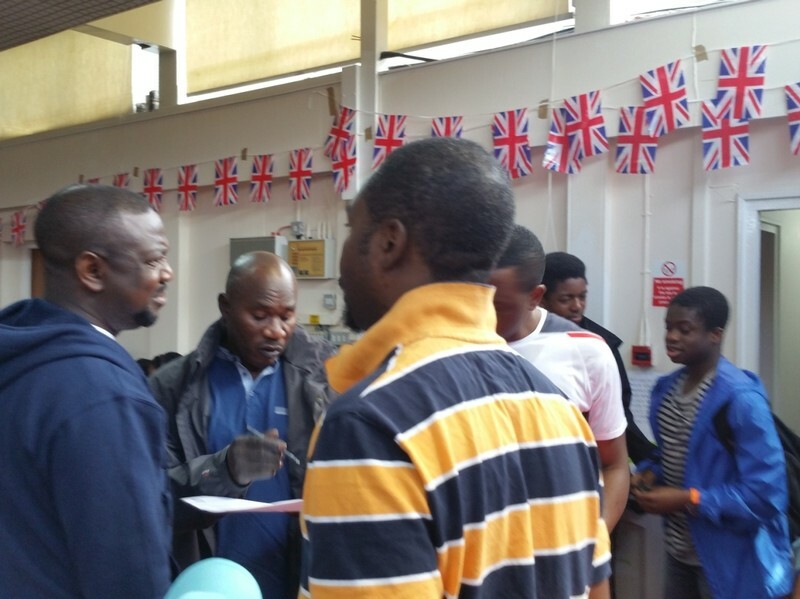 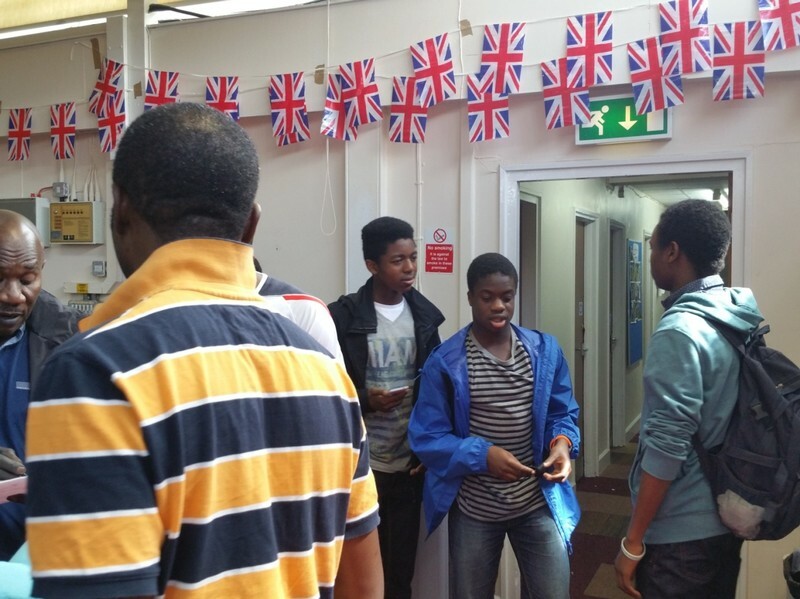 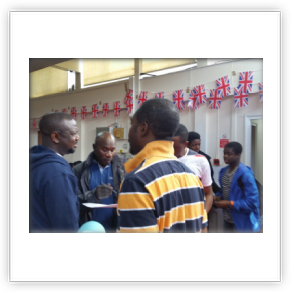 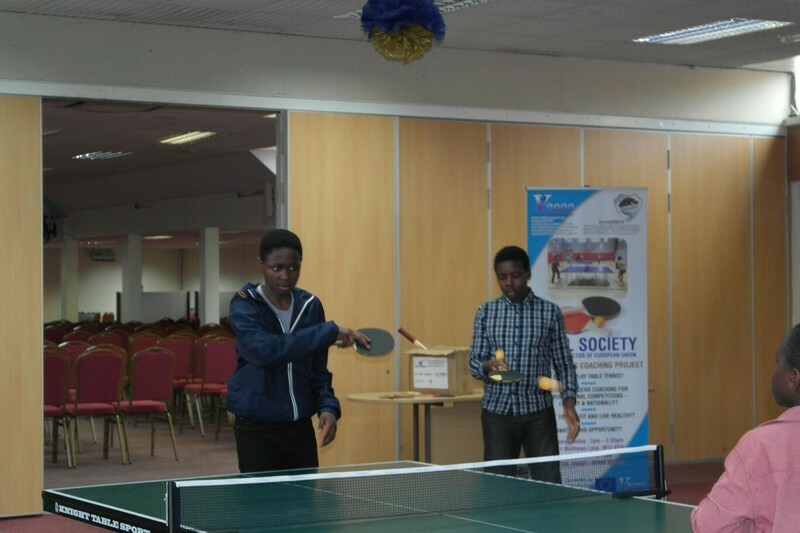 The activities included Tennis weekly coaching activities, Tennis Competitions and Tournament. 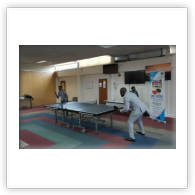 Project team engaged young people and adults on one on Tennis skills assessment during ‘’Civil Society Tournament’’ V2020 Sports Day, accessing their state of wellness and healthy living signposting them to relevant quarters for additional support. 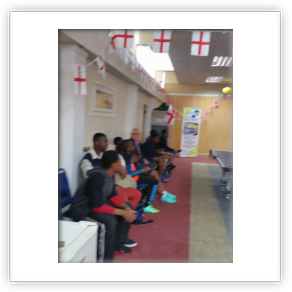 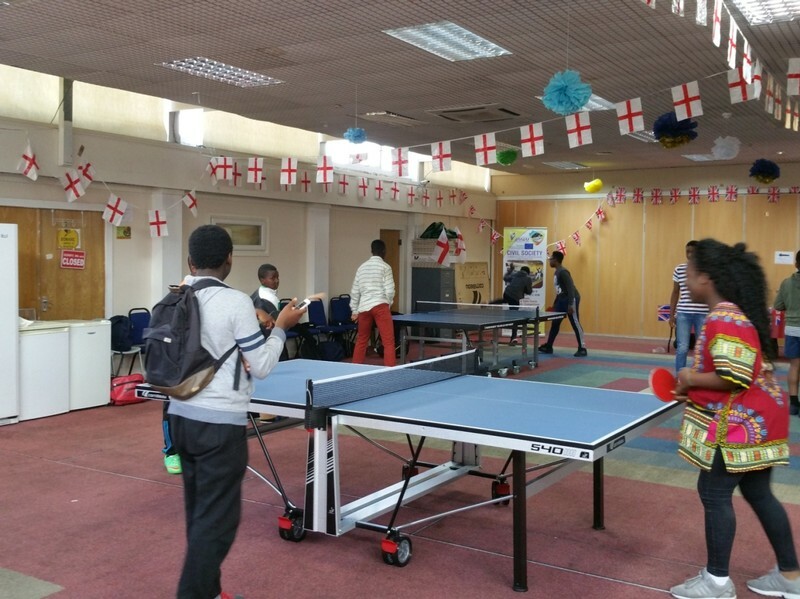 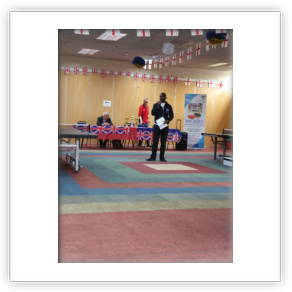 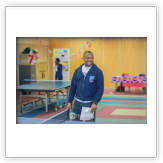 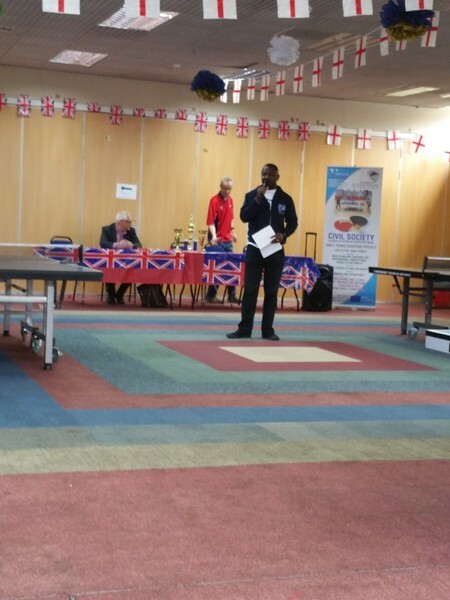 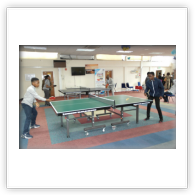 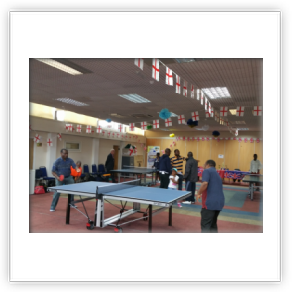 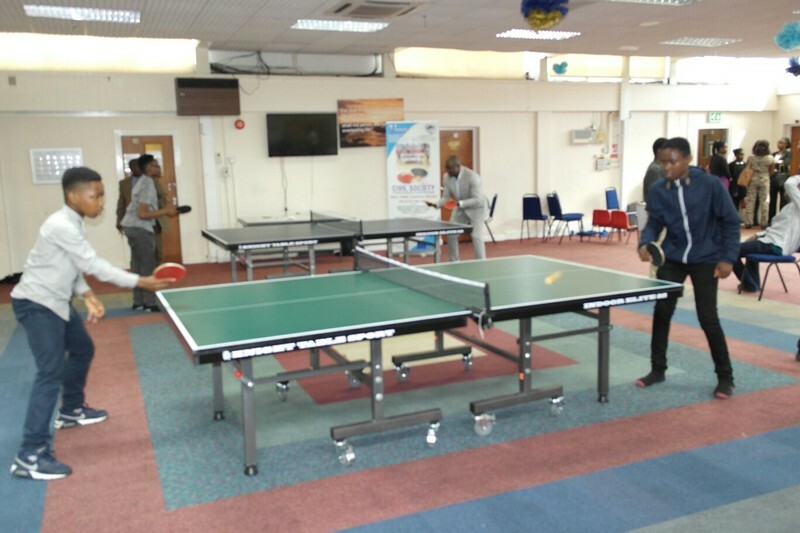 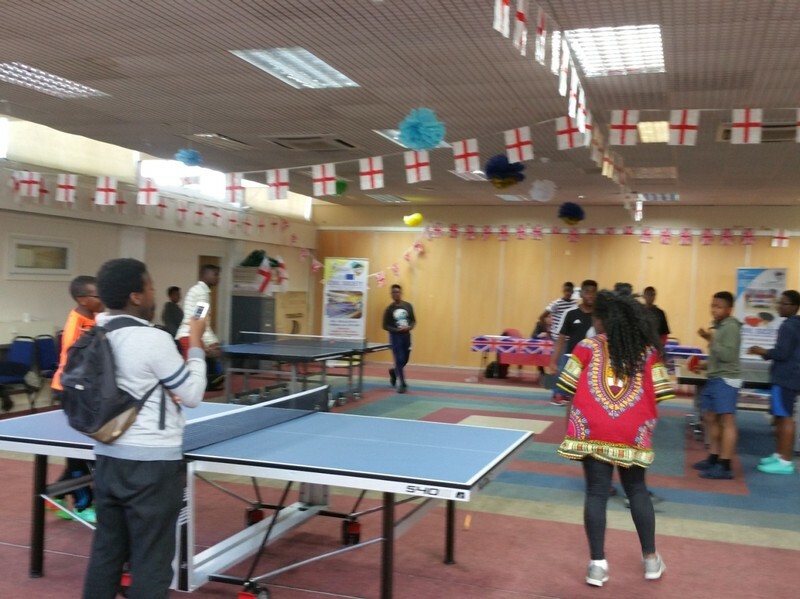 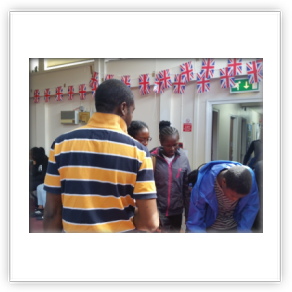 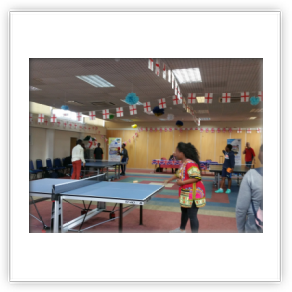 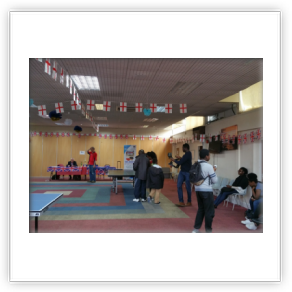 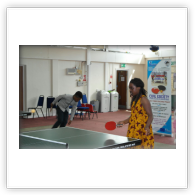 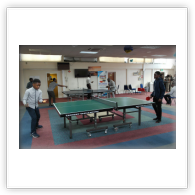 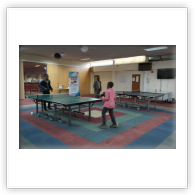 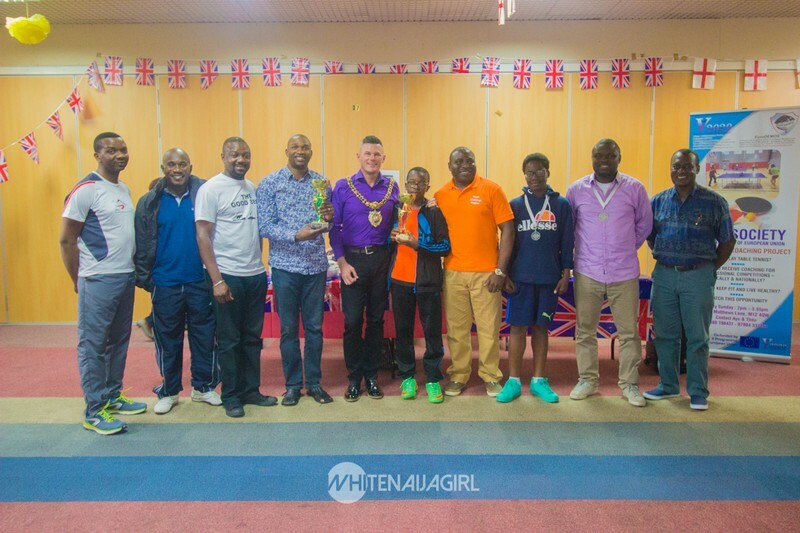 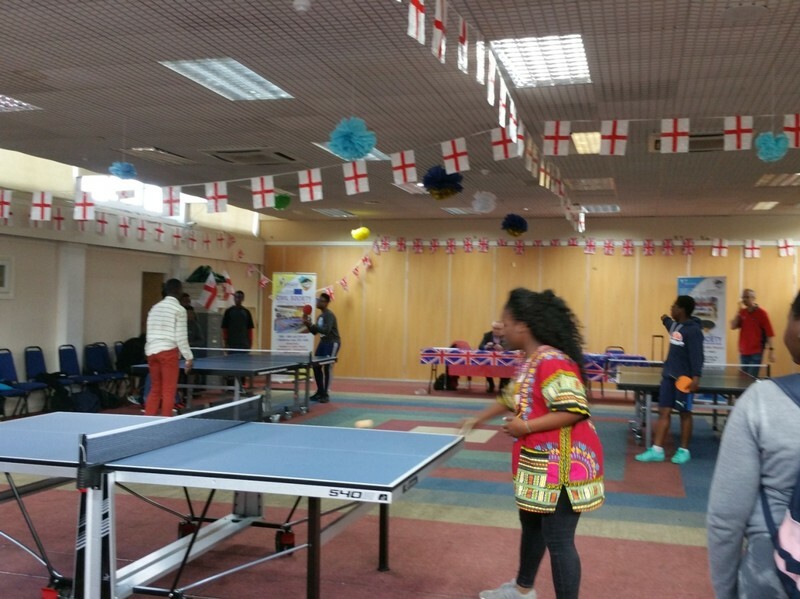 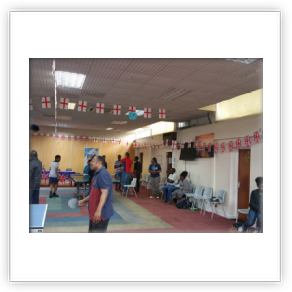 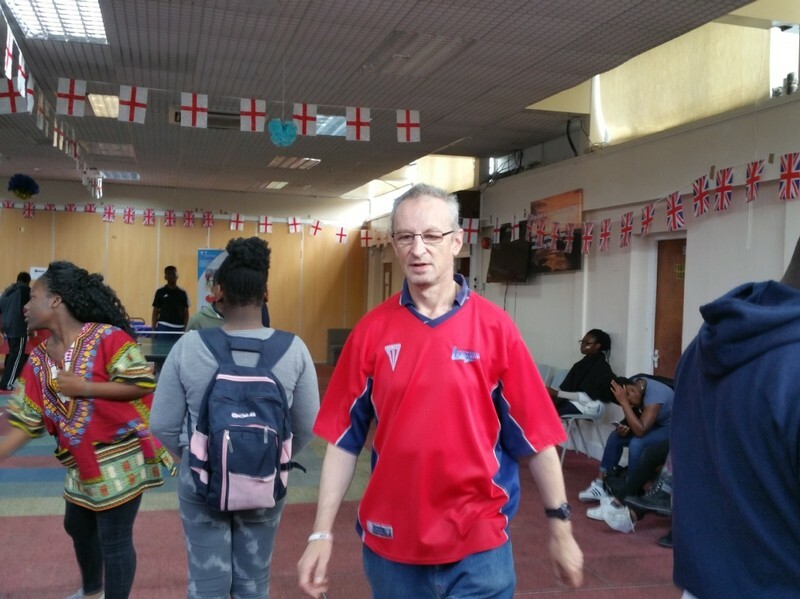 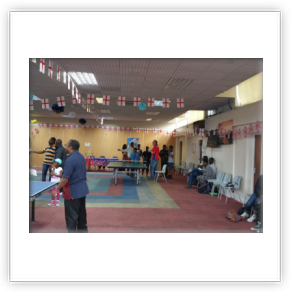 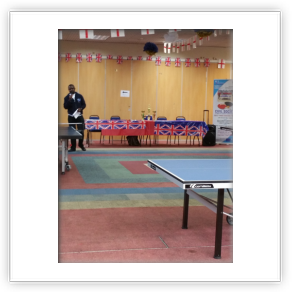 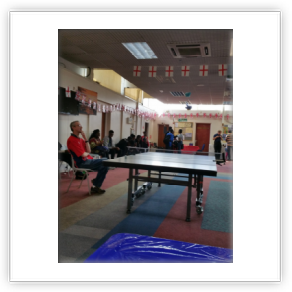 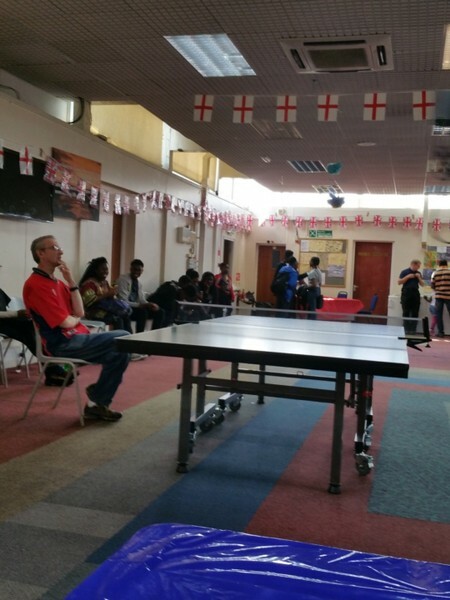 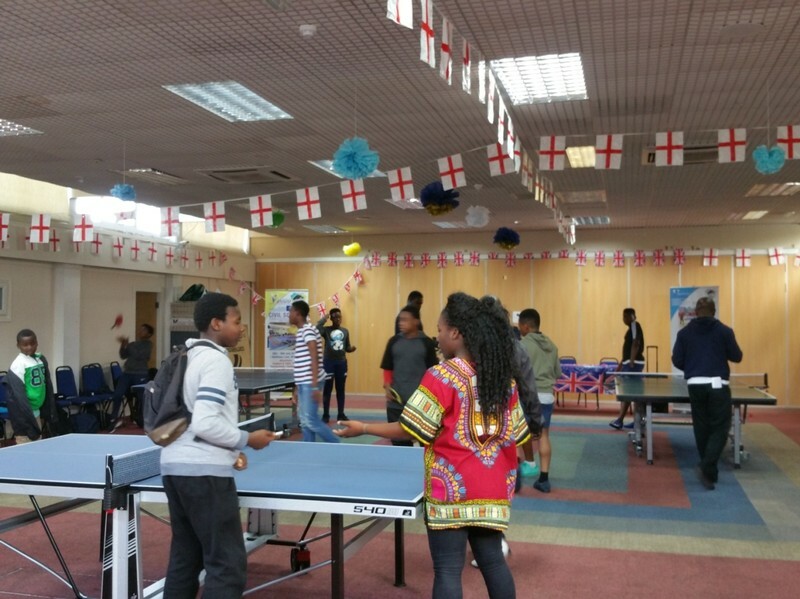 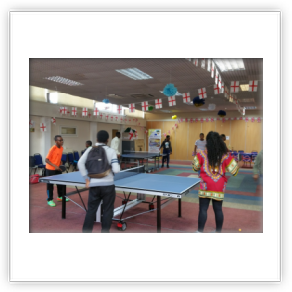 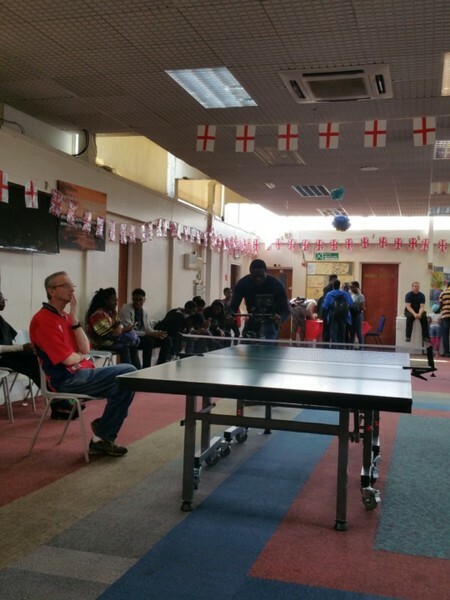 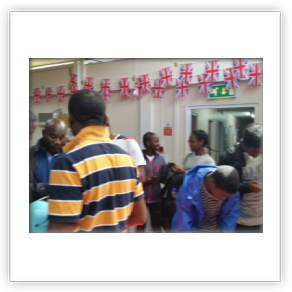 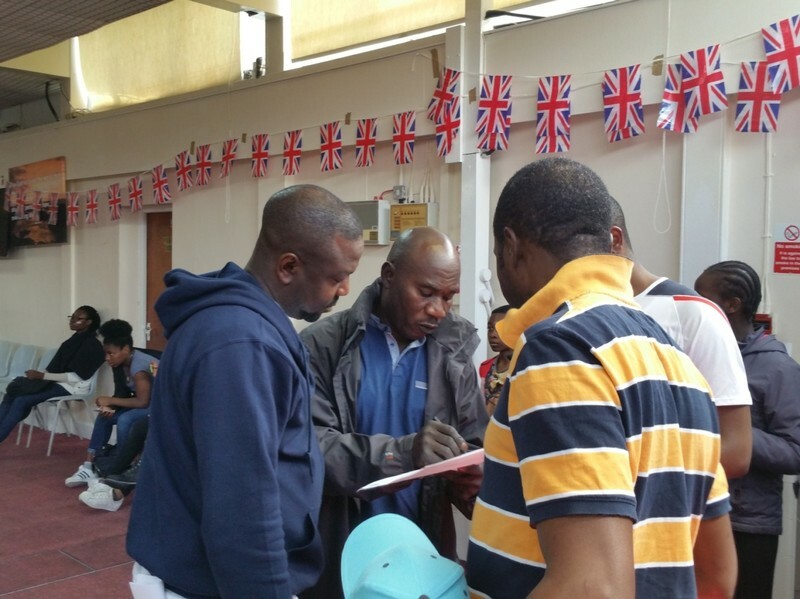 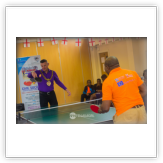 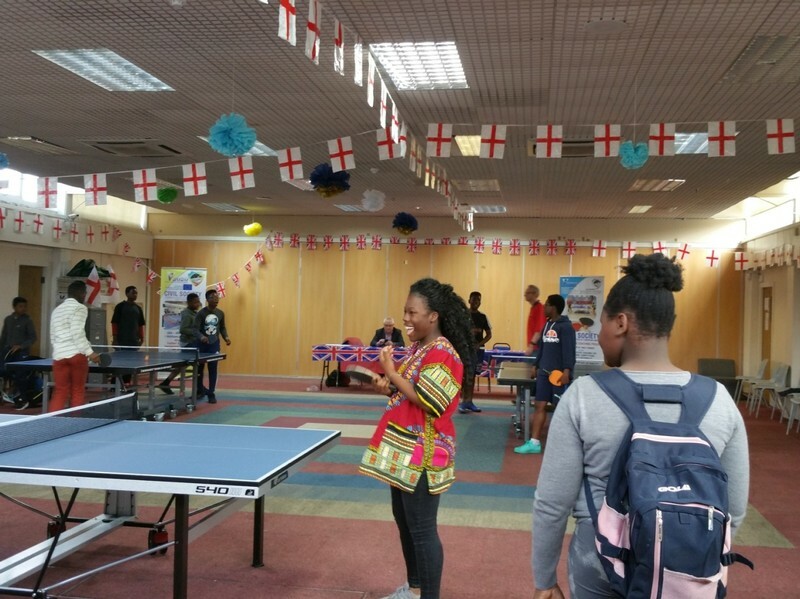 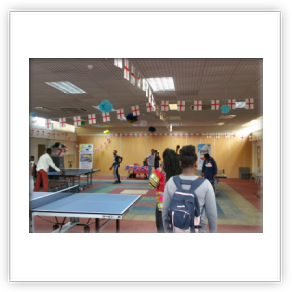 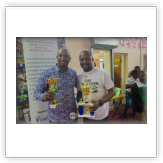 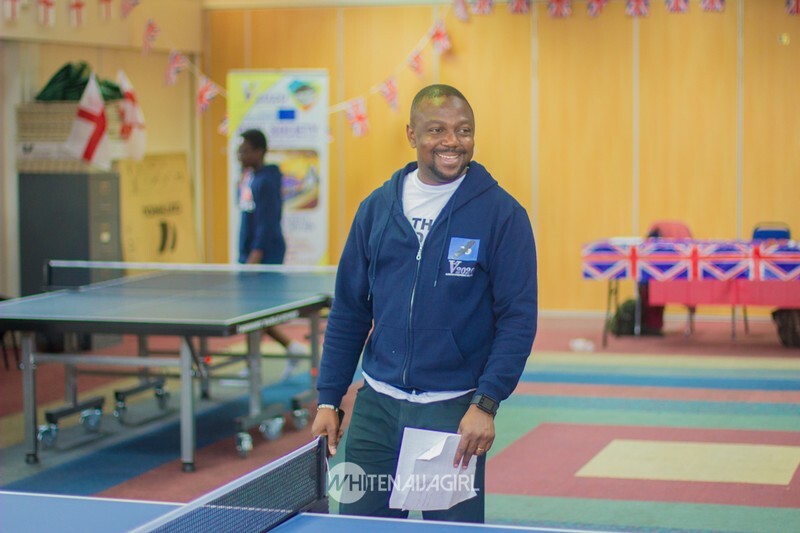 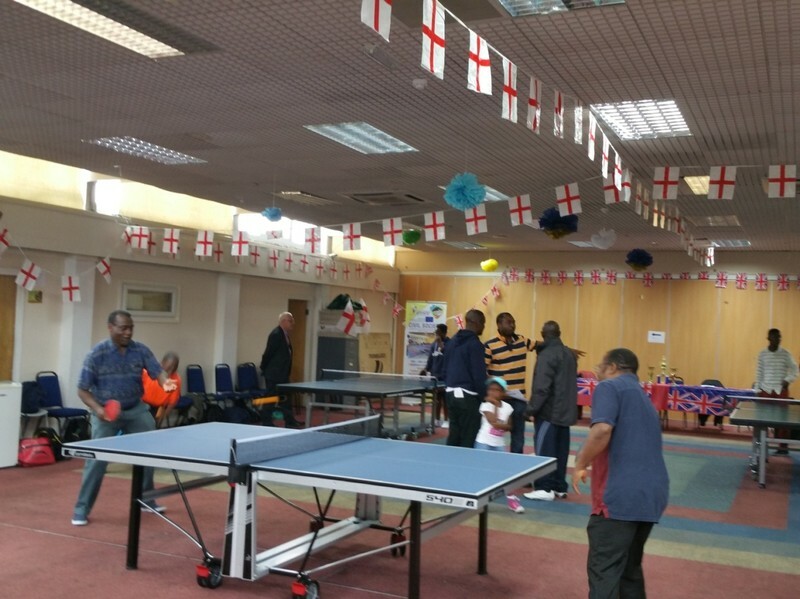 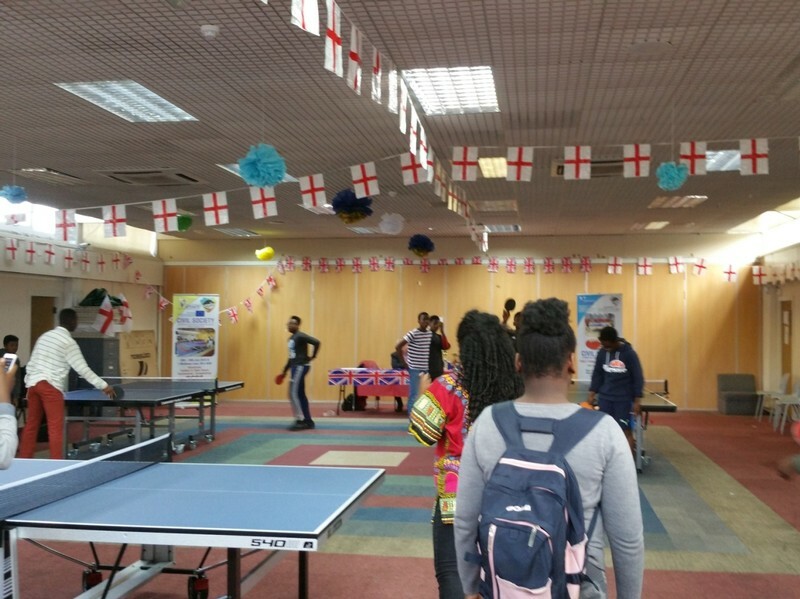 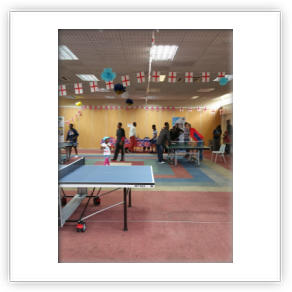 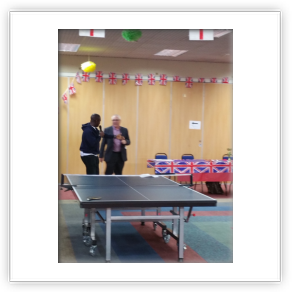 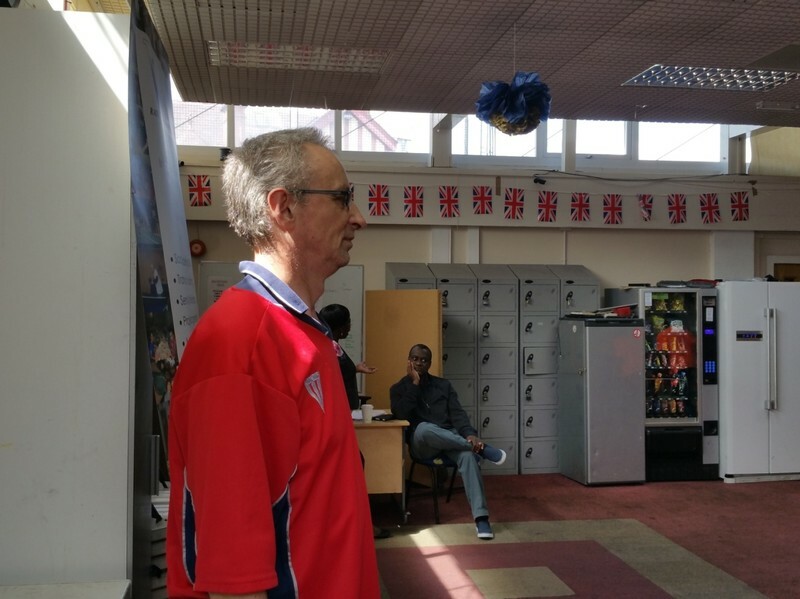 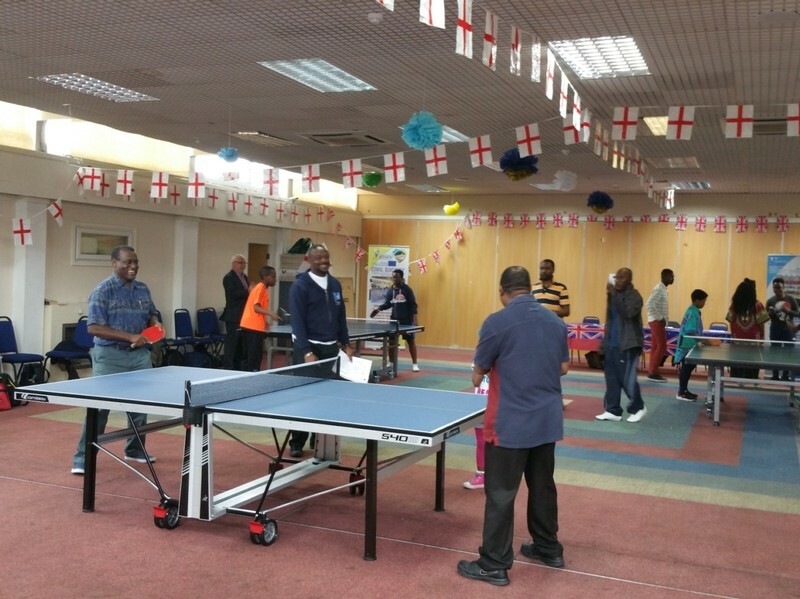 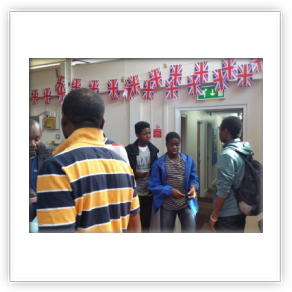 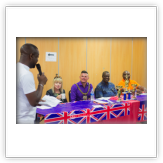 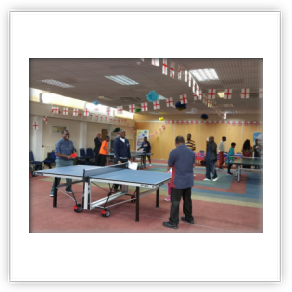 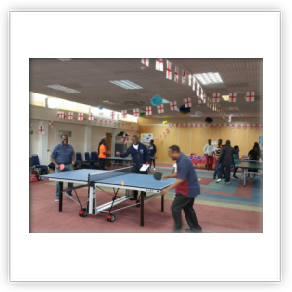 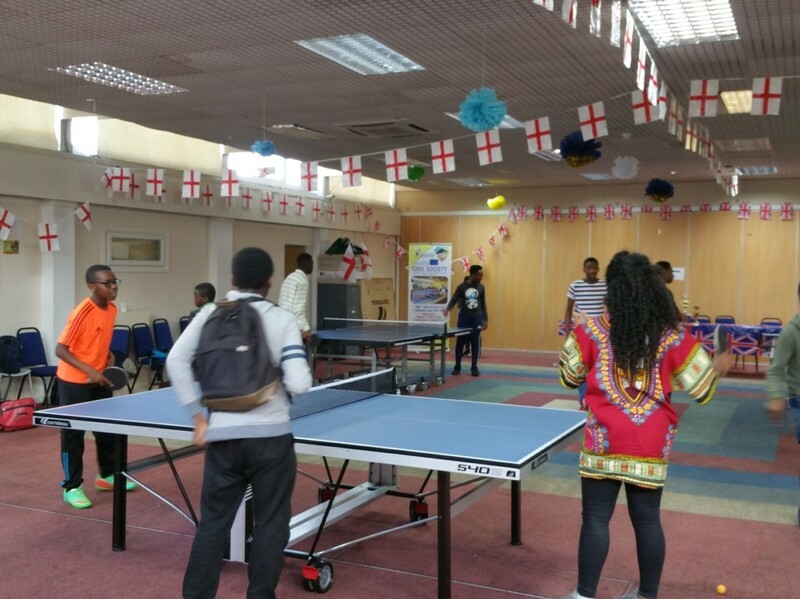 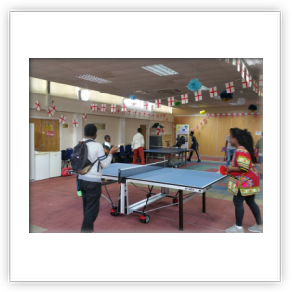 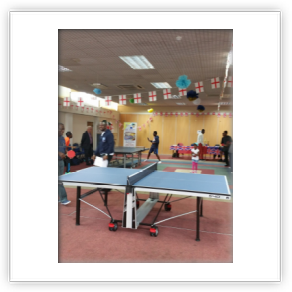 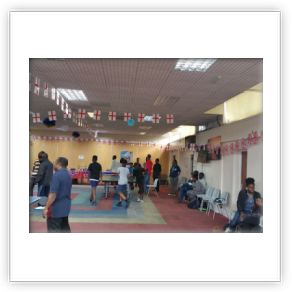 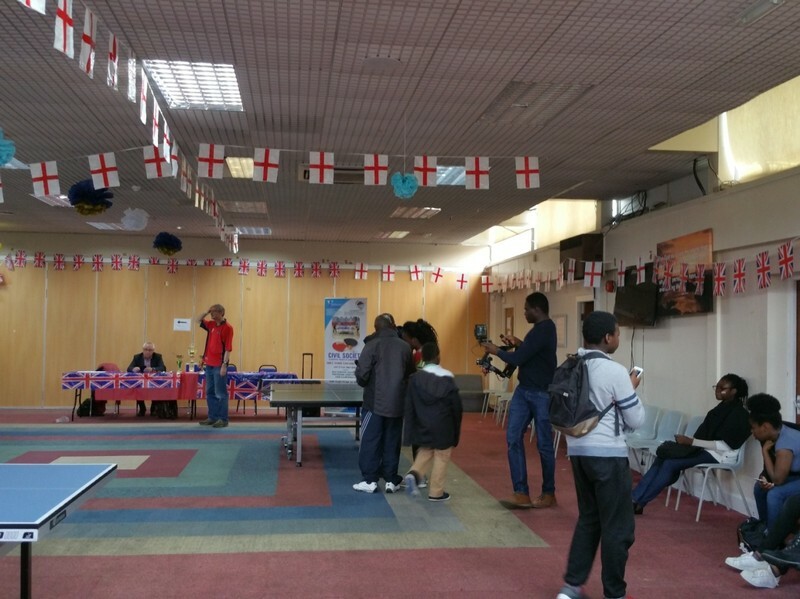 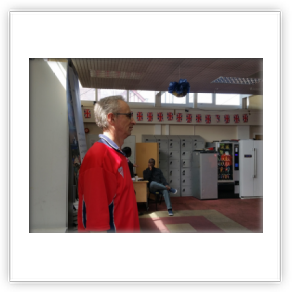 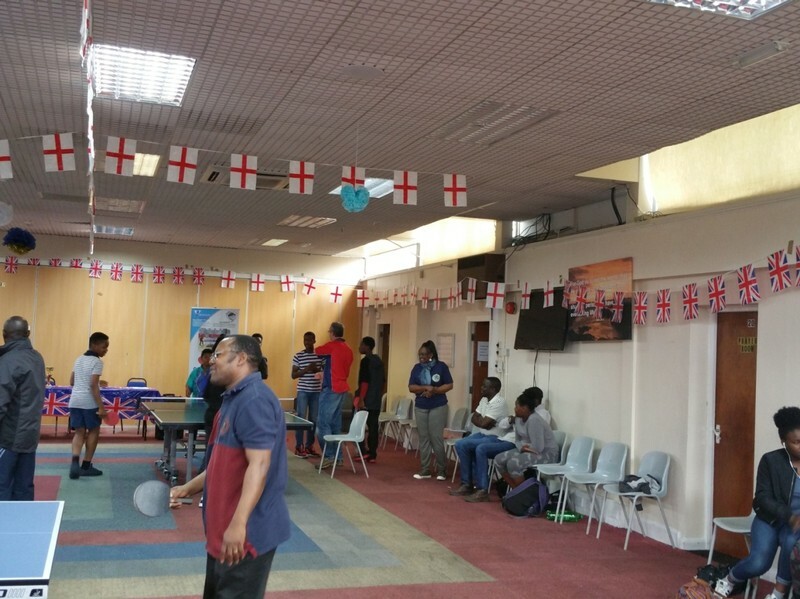 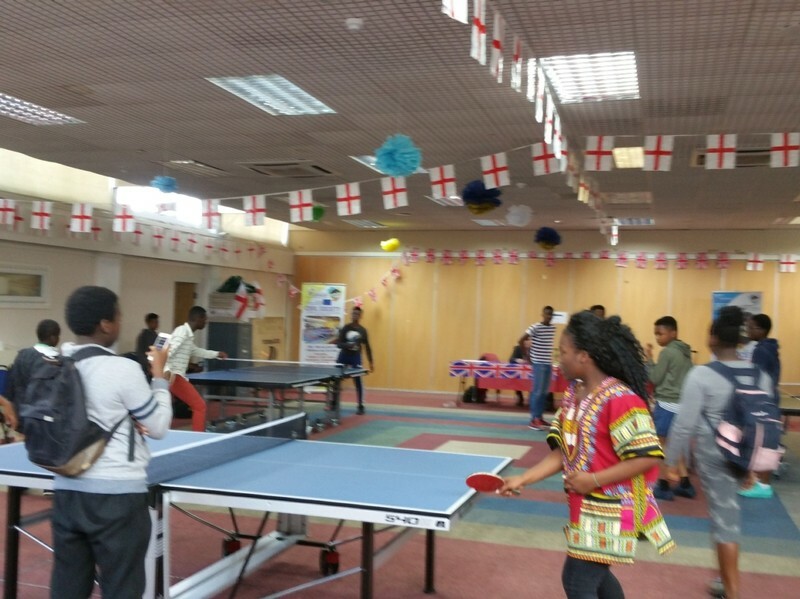 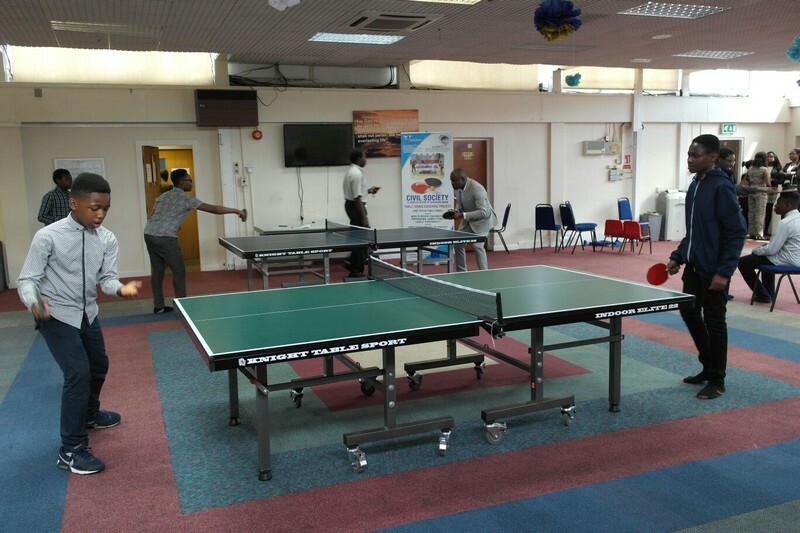 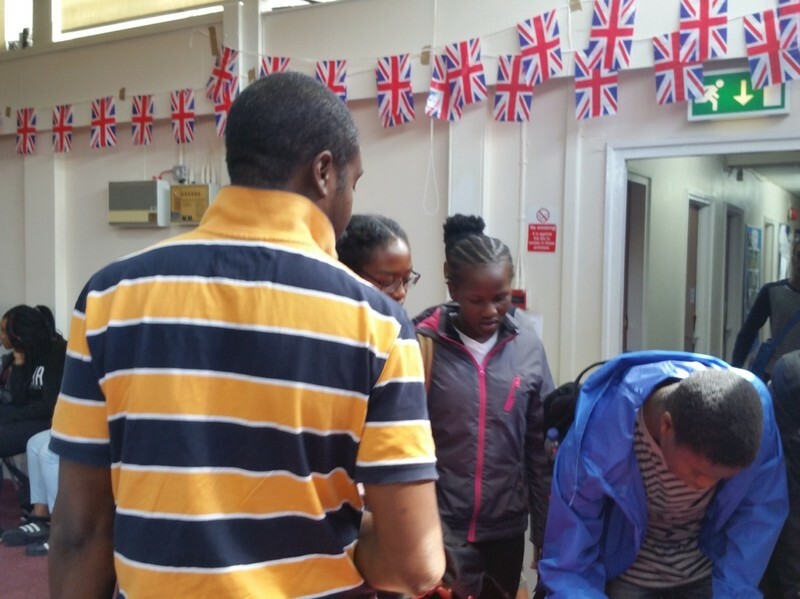 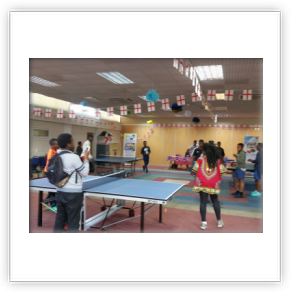 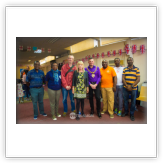 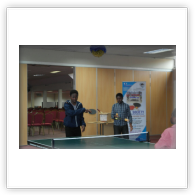 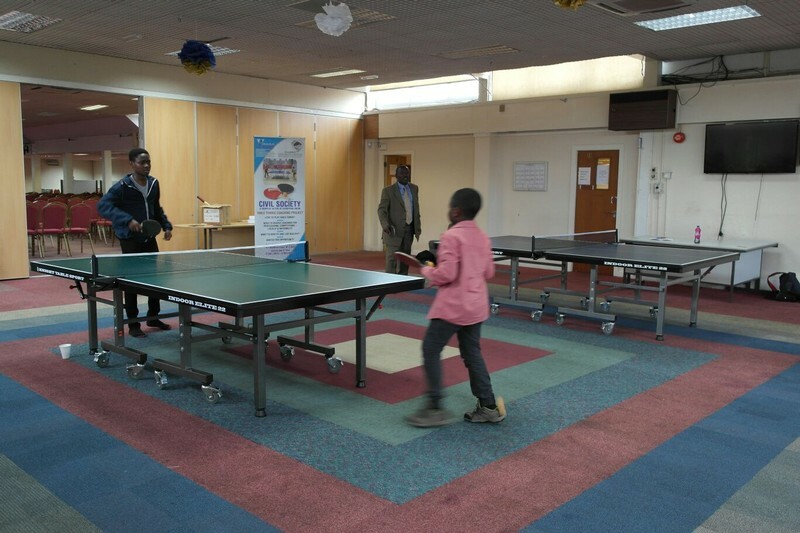 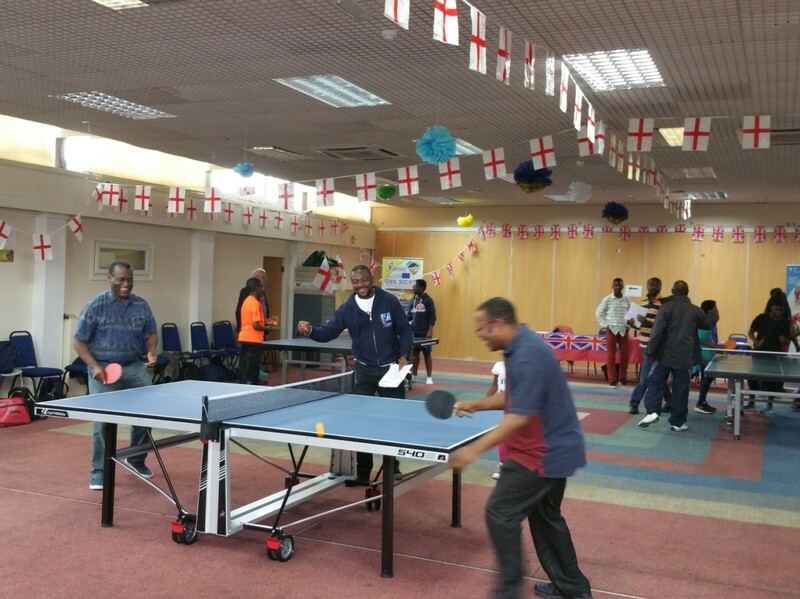 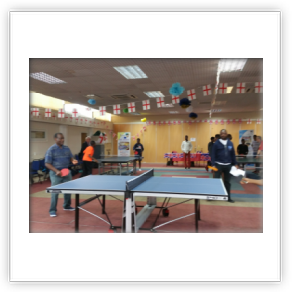 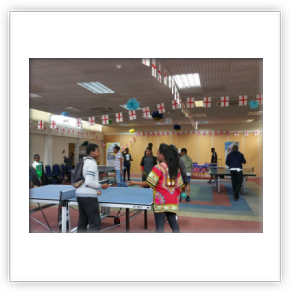 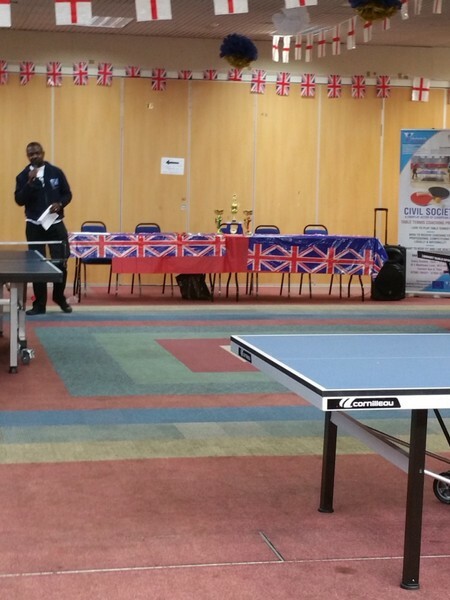 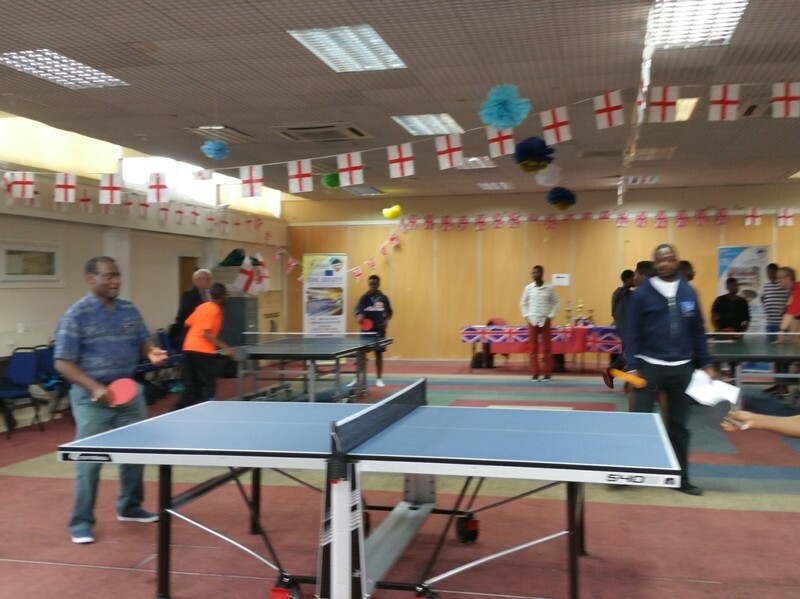 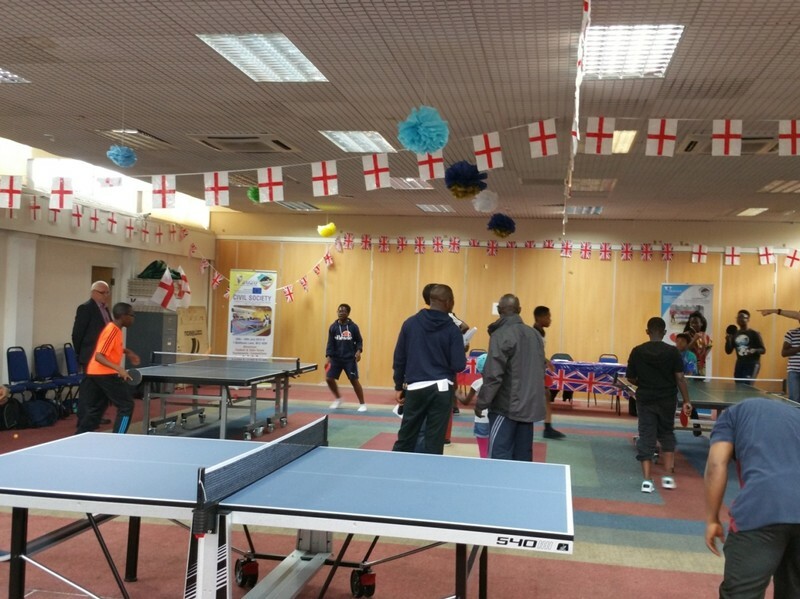 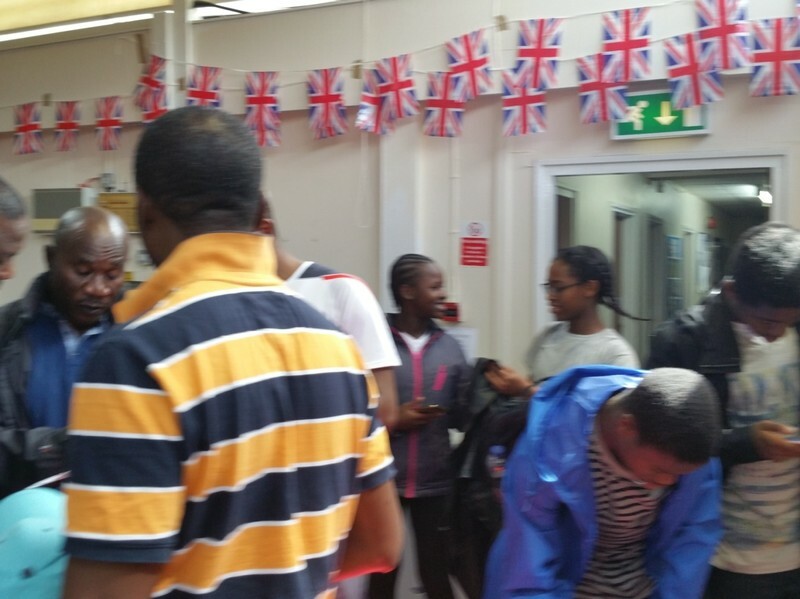 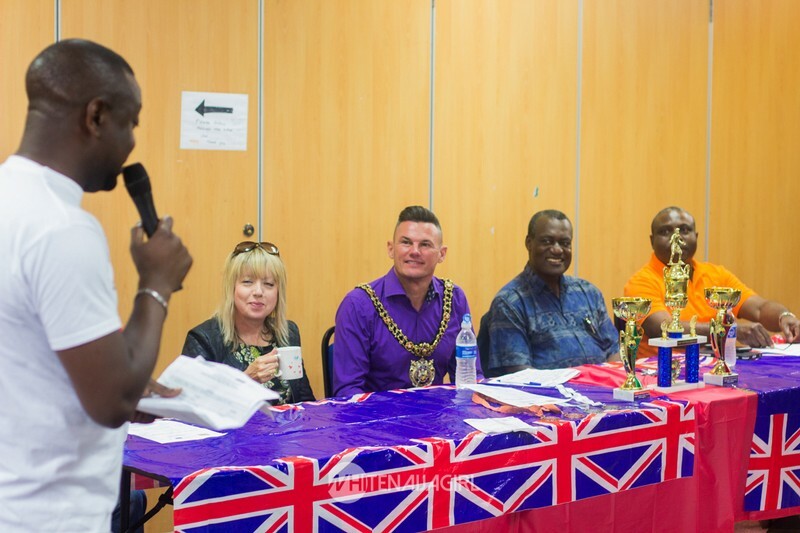 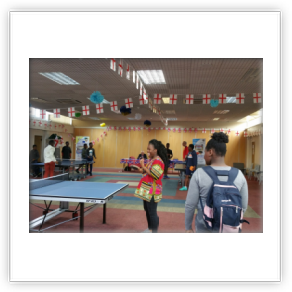 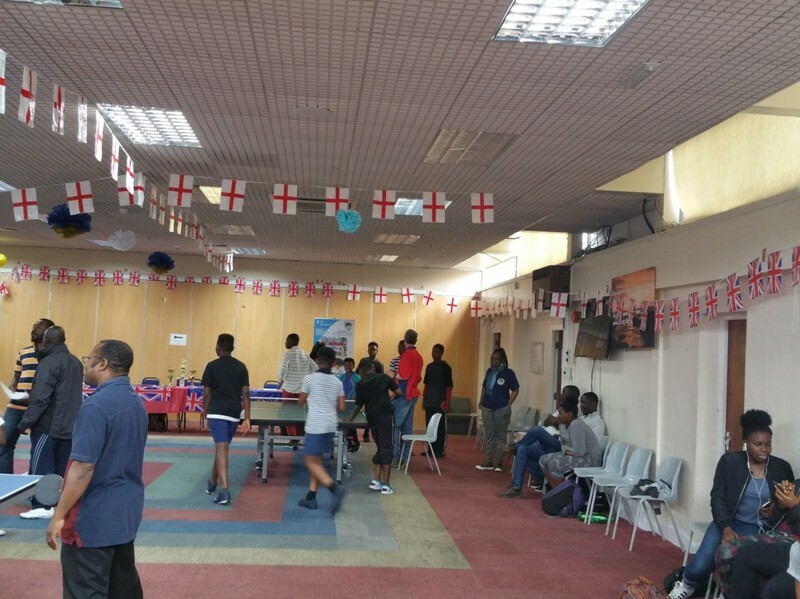 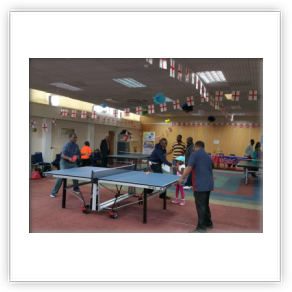 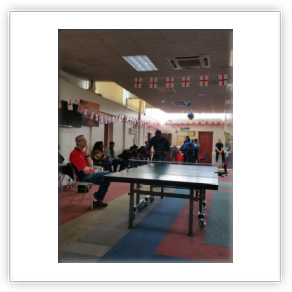 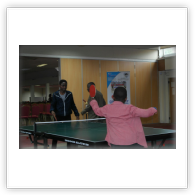 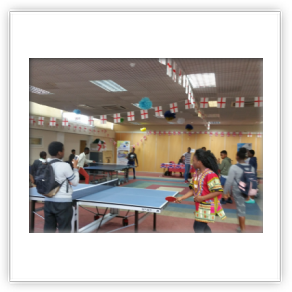 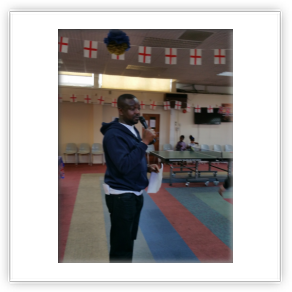 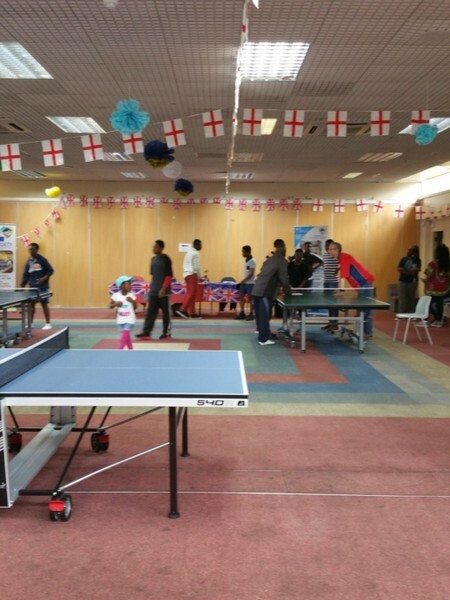 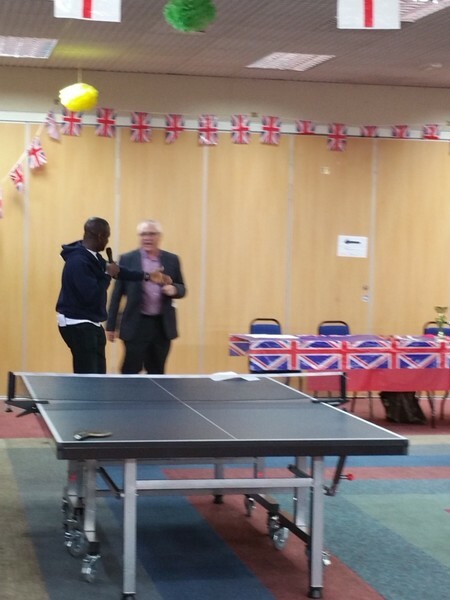 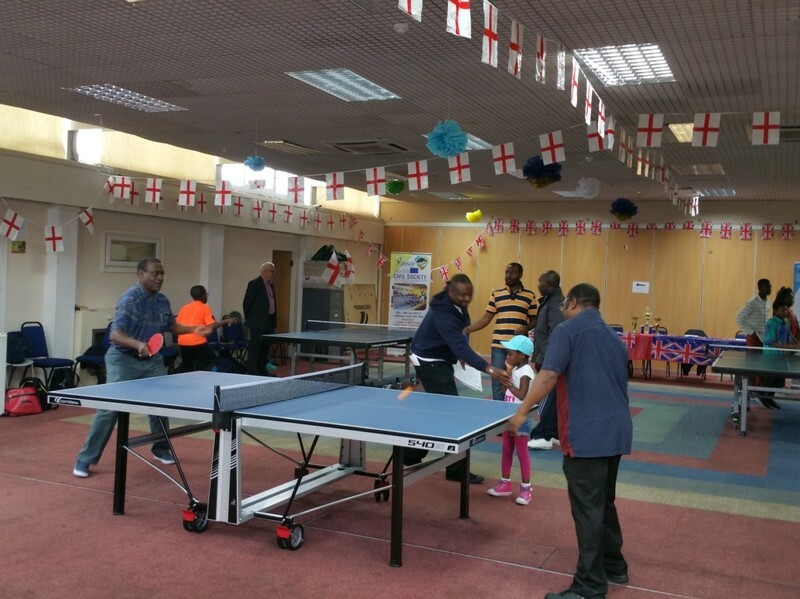 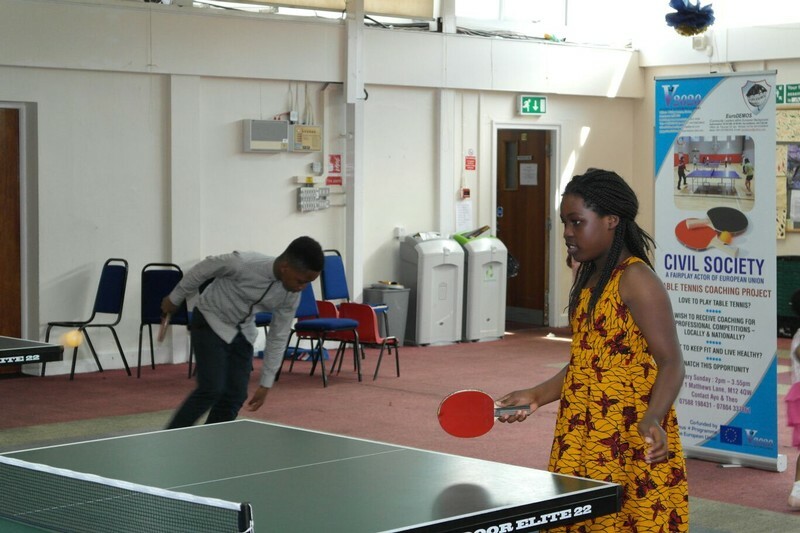 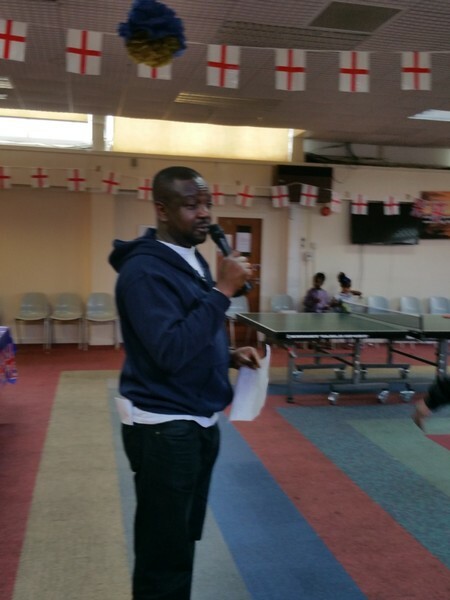 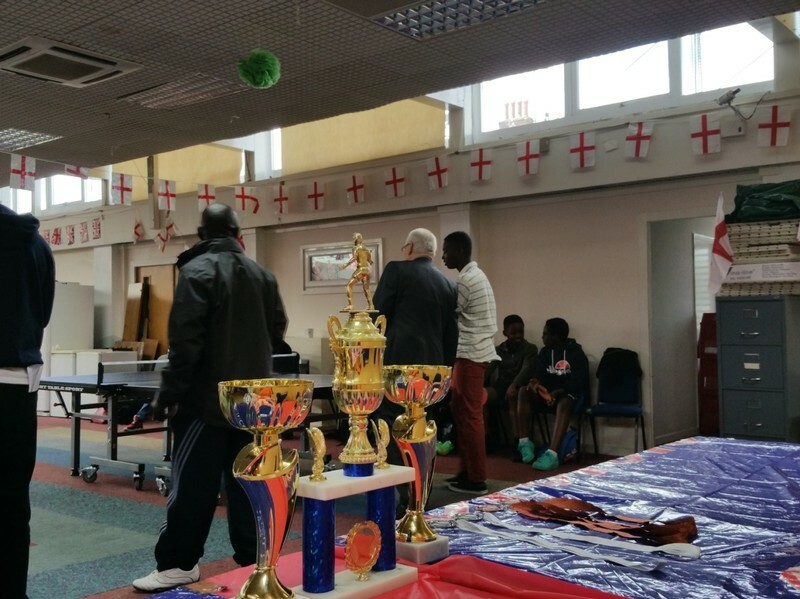 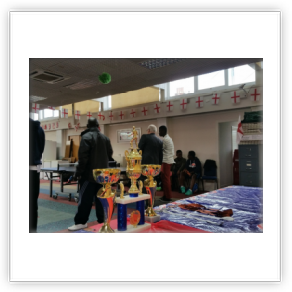 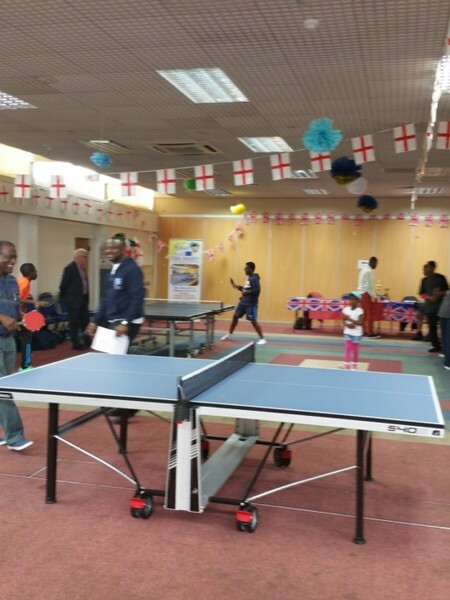 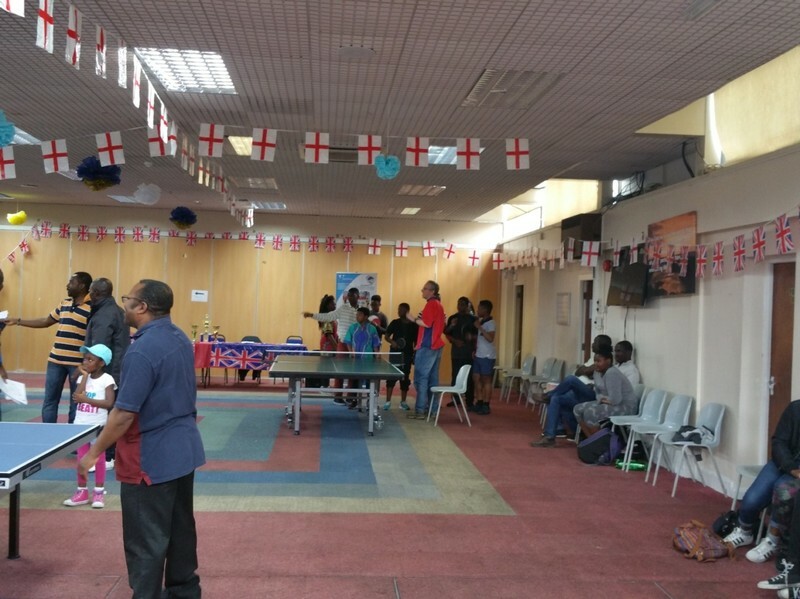 The project encouraged participants to engage in productive, positive and accessible Table Tennis activities leading to improvement physically, emotionally and boost in self-confidence and esteem by having a go at Tennis playing which hitherto they do not have access to. 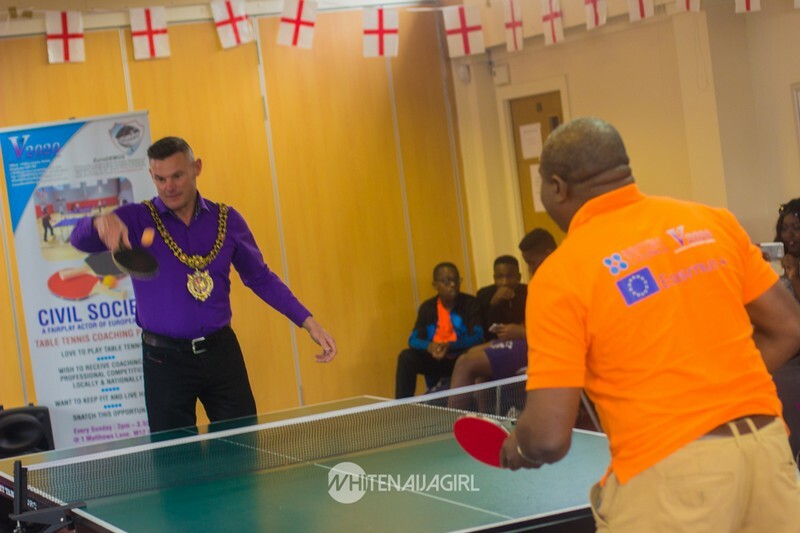 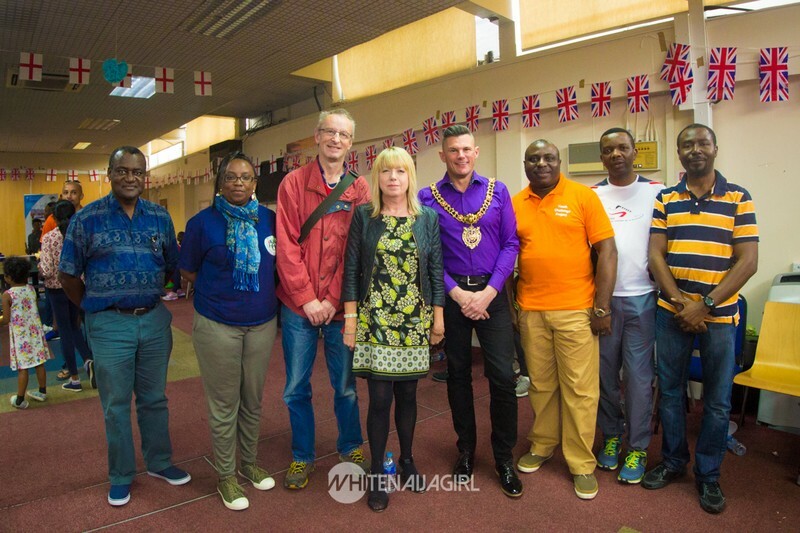 More than 50 people of varied status and profile graced the event, including The Lord Mayor of Manchester Cllr Carl Austin-Behan, local councilors, representatives of civil societies, directors of community groups, charity organizations, and people with fewer opportunities, young people, girls, young women, older men and women, representatives of local tennis clubs, coaches, mentors and members of the local community. 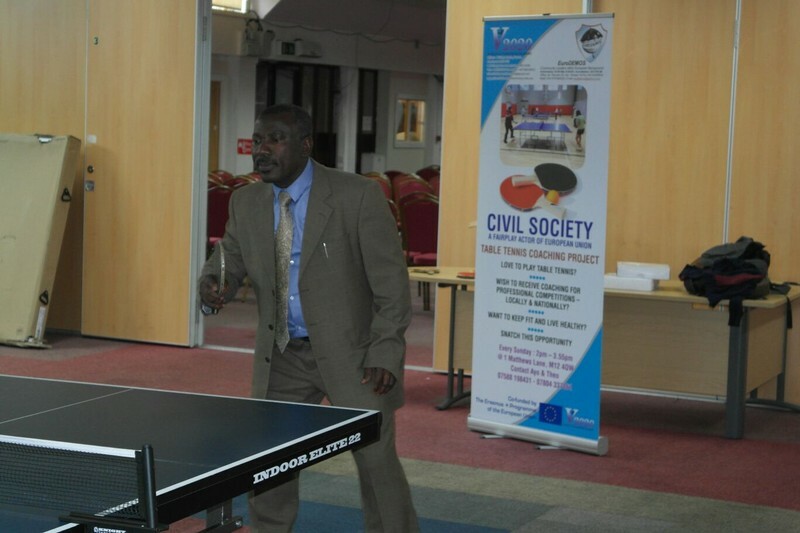 45% of participants on ‘‘’Civil Society Tournament’’ V2020 Sports Day are disadvantaged and with fewer opportunities, the project specifically targets the low income people who could not afford this type of opportunities except if provided by V2020. 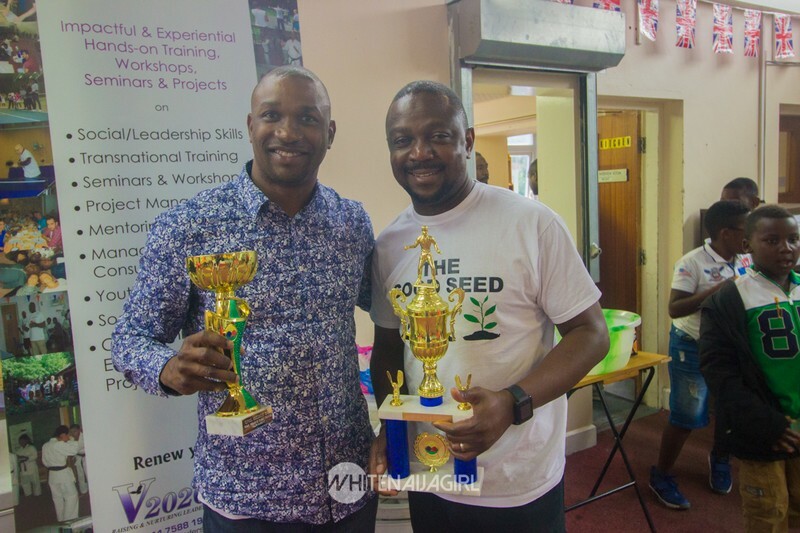 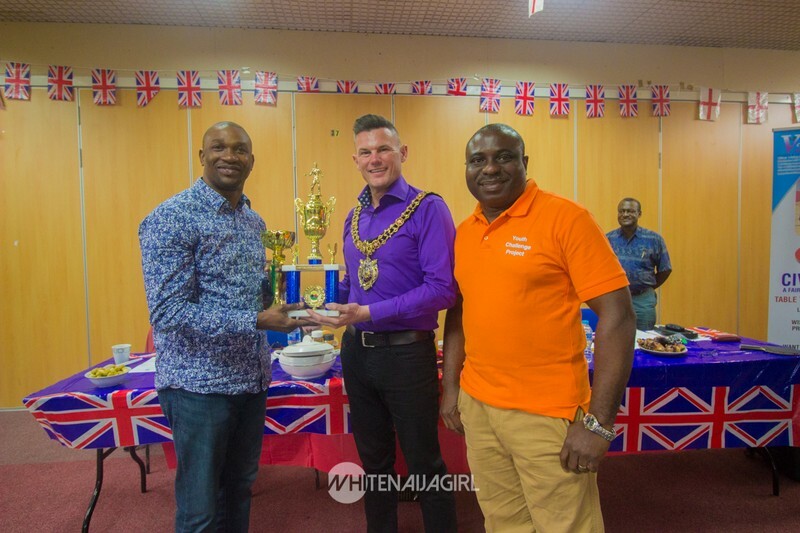 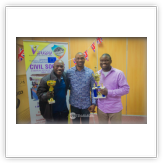 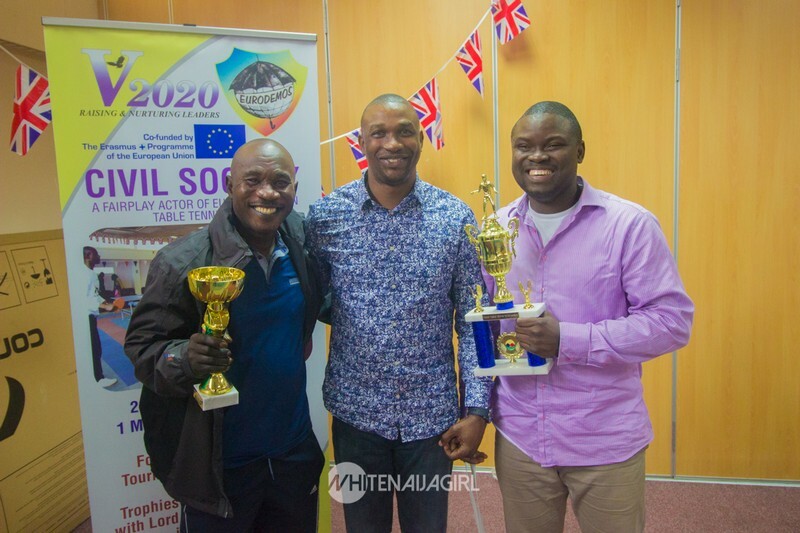 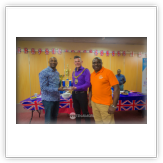 ‘’Civil Society Tournament’’ V2020 Sports Day gave the people within and outside the local community something to do and create experiences to carry into future and other spheres of endeavours. 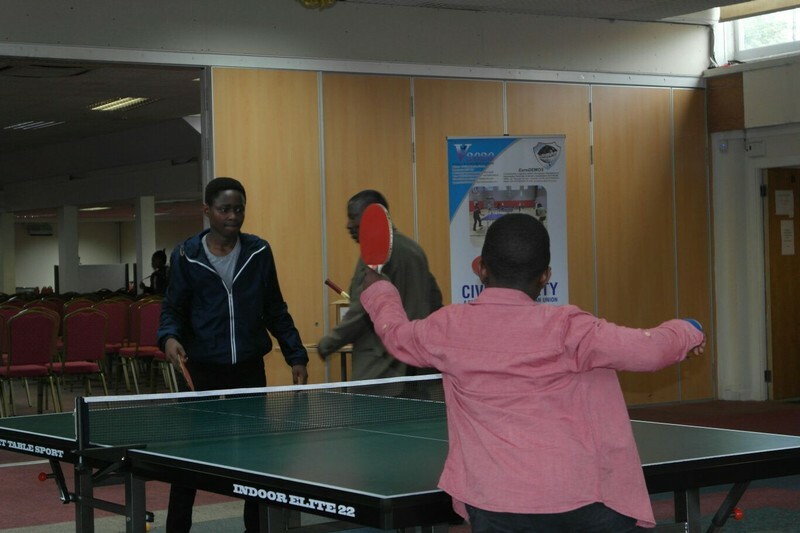 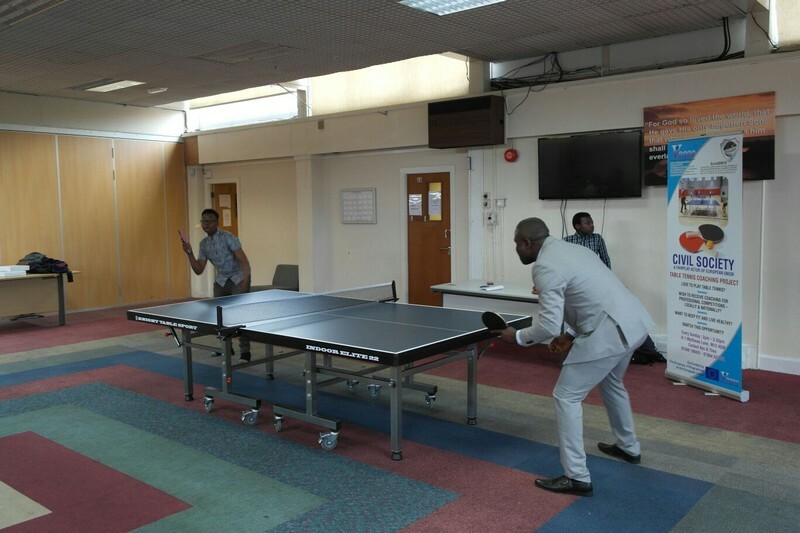 About 25% reduction in avoidable health challenges among participants, such as obesity, stress and unhealthy living is projected as they continued to exercise after the ‘’Civil Society Tournament’’ involving constant playing of Table Tennis for more than 2-4 hours weekly. 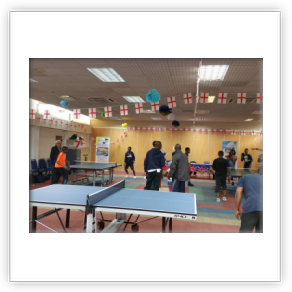 In summary, participants’ participated effectively on all programme activities, involving Tennis weekly coaching activities, Tennis Competitions and Tournament. 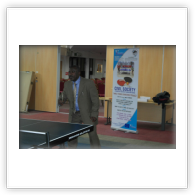 Online mediums created before the programme delivery were sustained after the programme; mediums such as skype, e mails and Facebook page created purposefully for the project continued well after the project for information dissemination, sharing of files and documents related to the programme. 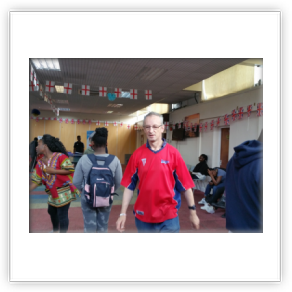 These mediums were also used to encourage participants to reflect on their learning process and also evaluate their ongoing knowledge on Erasmus+ programme actions. 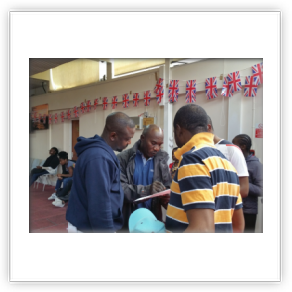 A handful of the participants have formed alliances and partnered to apply for new projects involving representative of our partner countries and organizations on other programmes. 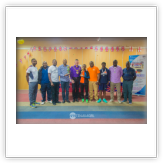 Finally by repeating the project process throughout project lifetime and cycle, it helped improved project efficiency thereby ensuring that the project process is refined and improved.